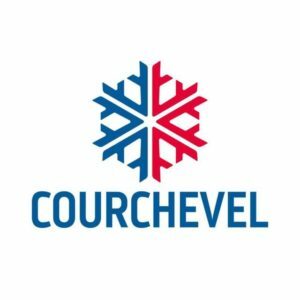 Courchevel is situated in Three Valleys ski area (linked with Meribel & Val Thorens), the biggest connected ski area in the world ( although several areas claim this ) It has an excellent lift system but can get pretty hectic at the busy periods of the year . The UK newspaper The Daily Telegraph named Courchevel the “best ski resort in Europe, if you can afford it”. This is the largest village and a prestigious place to stay, where the rich tourists and Parisians head to be seen and shop til they drop in the designer boutiques. This is one of the main meeting points and lift hubs so expect crowds here all day. While luxury chalets with indor pools and heli-pads are the norm here , you can still find plenty of apartments and smaller hotels . If you need a supermarket then you are best off right down the valley in Moutiers to be honest . Easily accessible as the main road runs right through this village , although you wouldnt really know if you are on the snowy side as the pistes and lifts dont come down to the road level.This resort has always had a more down to earth feel , although the newer developements of 5 star hotels meant that the old seasonairres bar “Le Signal” had to go ( no more Mutzig fulled apresski / evenings ! Below the resort and on the way to Courchevel Village you will find the new (2015) Aquamotion centre which has pools / slides etc and even a Nikki Beach Cafe ! Tucked away from the main road this can be quite a sleepy village with a few bars and restaurants , linked to Courchevel (1850) by a gondola ( which closes around midnight ) and a chairlift its not a bad place to be based to be honest. Le Praz is the original village and has a real rustic charm to it . Linked up to Courchevel (1850) by a gondola there is also a fast chair which drops you just above La Tania and from there you are almost over into Meribel .The village is dominated by the Olympic ski jumps from the 1992 Albertville Olympics .Make sure you try the Vin Chaud in the Hotel Les Peupliers ( 3 and you will be singing / giggling !) and no visot to Praz is complete without an atmospheric evening in Cave des Lys , great wines and slates of cheeses & jambon cru . All the big ski companies are here, plus an abundance of 3/4 chalet operators , opportunities are good for bar & restaurant staff and there are plenty of mobile ski hire companies looking for hard working ski techs . Transfer companies again are a good option as lots of the wealthier customers are looking for private transfers here.La Tania in particular offers some great chance to snare a job, since 1992 there have been more and more British companies setting up here and all need great staff. Head for 1650 when everywhere else is busy , when the weather is poor and you need to head for the trees then drop into La Tania / Le Praz . The three couloirs off Saulire provide some entertainment when its just dumped , but then act like steep pistes in normal conditions .Plumbers crack and gassex can be superb in la Tania for days after a dump, over in 1650 hunt down the hidden valley!